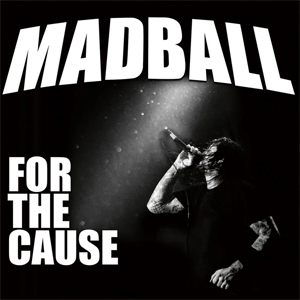 MADBALL Release Music Video For "Freight Train"
NYHC kings MADBALL are gearing up to join SUICIDAL TENDENCIES on the Still Cyco Punk After All These Tours on September 18th in Phoenix, Arizona! Today, the band released the music video for "Freight Train" off their recent album, For The Cause. Watch the video here on KNAC.COM HERE. Freddy Cricien comments, "After a long summer of going back and forth to Europe, for festivals and our own club shows... we’re excited to finally hit the states this fall! No better band/tour to be supporting then SUICIDAL TENDENCIES - they are great guys and of course.. a great band! We’ll have some solo shows sprinkled about as well. Look forward to playing the states, first run since the release of For The Cause."